Poisoning and fumigation—the most common methods of killing prairie dogs—cause convulsions, vomiting, internal bleeding, gradual pulmonary and cardiac collapse, and a variety of other reactions that cause animals immense suffering and a slow, agonizing death. Developers of The Promenade at Castle Rock, a 160-acre mall project underway in the town of Castle Rock, Colorado, reportedly want to massacre hundreds (possibly thousands) of these animals who call the site’s open spaces and wetland areas their home. Tell Alberta Development Partners and Castle Rock officials to halt this cruel killing initiative and to employ humane prairie dog control methods instead. And please forward this message widely! The Earth is being raped, strangled and left for dead by people who care only about themselves and what they can get in the short term. The suffering of others is inconsequential. Indeed, they pride themselves in their ability to disregard the cries and struggles of their targets, whom they objectify while denying their very sentience. Like psychopathic serial killers, they ignore the rights and welfare of their victims, intentional or incidental. And despite an outcry from compassionate citizens, the Castle Rock Town Council has green-lighted this slaughter, which is scheduled to occur in the coming weeks. Companion animals and “nontarget” wild animals–including protected species–can also be fatally affected. 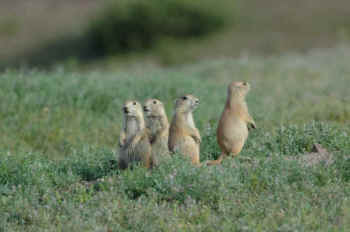 Halt this cruel killing initiative and employ humane prairie dog control methods instead.